If you require low cost Alcatel IP endpoints, please contact us about our stock of new, remanufactured and refurbished Alcatel Lucent 4018EE phones. Prices start from just €29 / US$32 each with full 1 year warranty. MF Communications is a leading business telecoms solutions provider. Supplying new, remanufactured and refurbished business phones, telephone systems, parts and telecommunications services for over 15 years, we have a strong reputation for high quality products, support and excellent customer service to businesses in over 100 countries. MF Communications also stocks a full range of Alcatel Lucent Carrier and Enterprise spares, to support operators, carriers, utility companies, militaries, large corporate companies, traders and maintenance companies all over the world. We also stock Alcatel DECT, IP and Digital telephones. 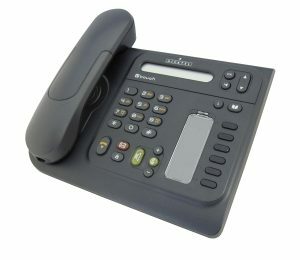 The Alcatel-Lucent IP Touch 4018 Extended Edition (EE) phones are cost-effective, entry-level desk phones with integrated IP connectivity. Basic telephony features such as programmable soft keys, voicemail, speaker and hands free dialling allow configuration of the 4018 EE phones as SIP endpoints, enabling them to operate in a standard SIP environment. Both are compatible with the Alcatel-Lucent OmniPCX Enterprise Communication Server as well as SIP servers and can switch to SIP survival mode in SIP standalone mode. Please contact us for any further information you need, or call +44 (0)1892 514687.